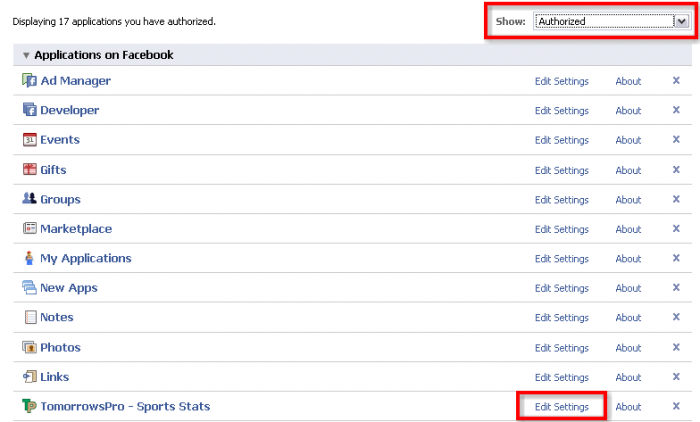 A Facebook Tab is now available for TomorrowsPro. 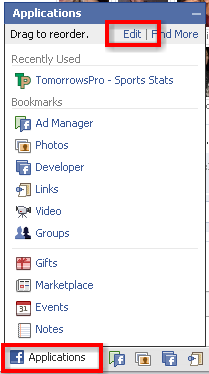 If you have connected your TomorrowsPro account to Facebook you can now add this to your profile. It shows the same exact information as the URL you would us to share your stats to the public, however it also shows any extra stats you are only sharing with your Facebook Friends. 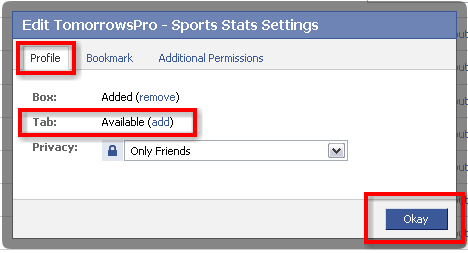 Under "Tab", click "Add" and make sure you set your privacy settings so the right people can see your stats.